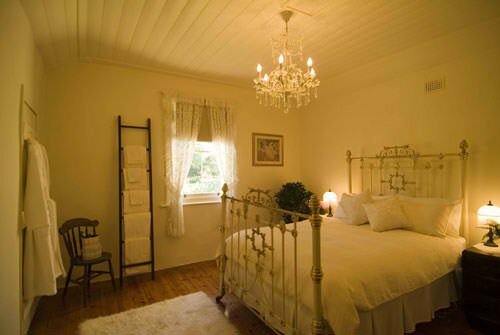 Choose from three gorgeous, immaculately presented and totally self contained cottages. 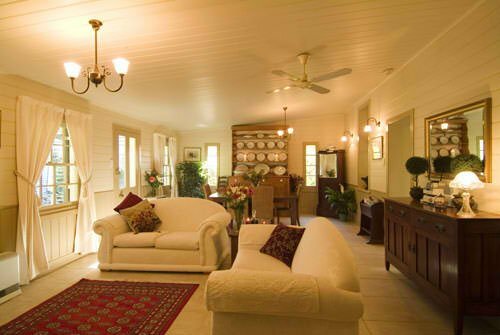 Captivating charm and plush interiors with elegant antique furnishings. 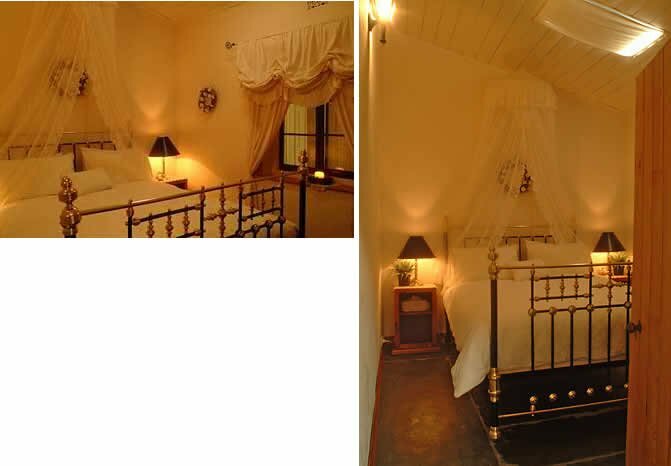 A blend of chic contemporary style and old world rustic charm with the luxury and comfort of modern living. 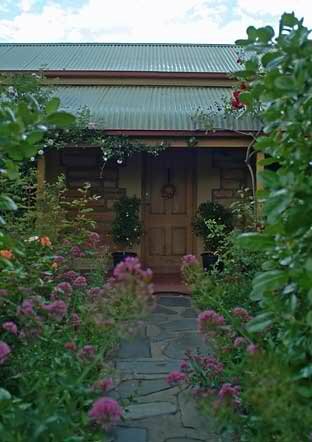 Each cottage is set in it's own pretty rose filled garden, ensuring total privacy. 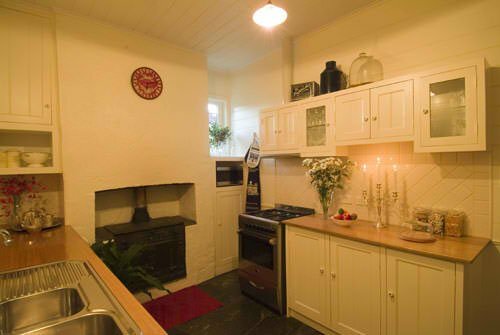 Each cottage has slightly different features but all are managed with an emphasis on attention to detail and personalized customer service.The cottages all feature comfy beds, cosy wood fires, full kitchen facilities and spas for both Anchor and Evelyn, private gardens Generous provisions for cooked and continental breakfast are provided. 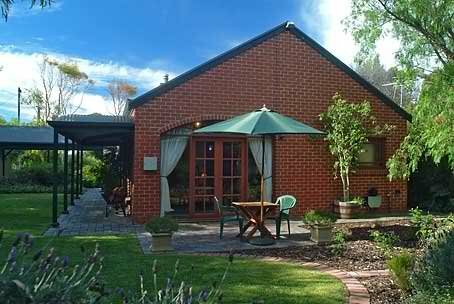 All the cottages are located just 45 minutes from the Adelaide Airport and CBD in the McLaren Vale Wine and Coastal region and gateway to the spectacular Fleurieu Peninsular. Walk to fantastic award winning restaurants, Willunga Farmers market, trendy cafes, galleris, antique and curio shops, boutique wineries and cellar doors. 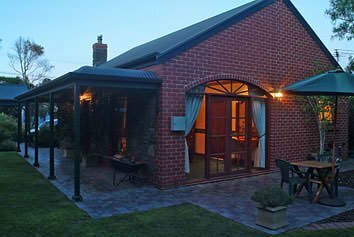 The perfect choice for a quick midweek getaway a weekend stay, holiday or midway stopover on the way to Kangaroo Island. Anchor Cottage is a purpose built, tranquil, romantic, one bedroom brick and stone cottage, eloquently decorated in traditional style, providing exclusive accommodation for two. 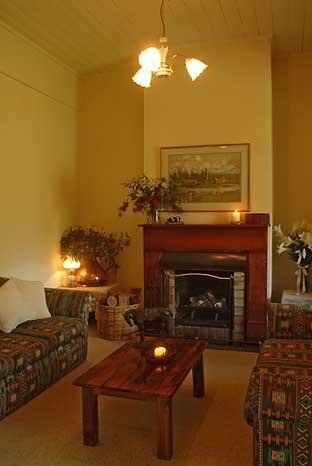 Features include a cosy wood fire, sumptuous bathroom with a large two person spa, king sized bed with views through french doors to a private alfresco setting, full kitchen facilities and comfortable walking distance to Port Willunga beach and the Star of Greece cafe. Anchor Cottage - 2 night Anchor Cottage is a purpose built, tranquil, romantic, one bedroom brick and stone cottage, eloquently decorated in traditional style, providing exclusive accommodation for two. 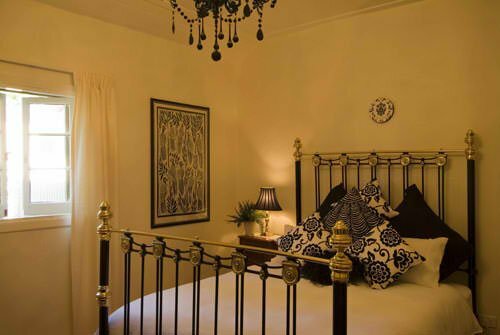 Features include a cosy wood fire, sumptuous bathroom with a large two person spa, king sized bed with views through french doors to a private alfresco setting, full kitchen facilities and comfortable walking distance to Port Willunga beach and the Star of Greece cafe. 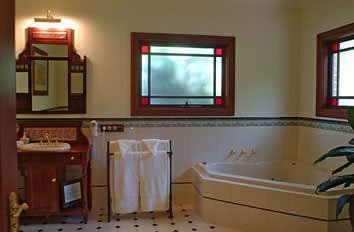 Citrus Cottage - 1 night Citrus Cottage is a gorgeous 140 year old settlers cottage featuring original stone walls, flagstone slate floors and 12 foot high ceilings. 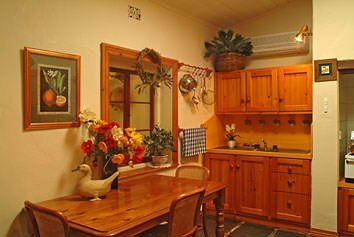 This quaint 2 bedroom cottage offers privacy whilst being situated in the heart of the historic and food savvy township of Willunga. Features include a cosy lounge with open fire place, two bedrooms with antique brass queen sized beds, bathroom with seperate bath and shower, a secluded rear patio with BBQ and seating for four , within walking distance of the Willunga farmers markets, cafes, galleries,curio shops Russell's Pizza and award winning Fino. 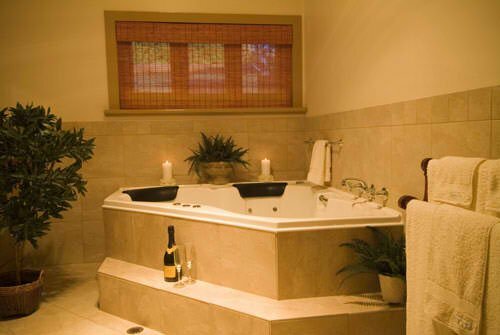 Citrus Cottage - 2 night Citrus Cottage is a gorgeous 140 year old settlers cottage featuring original stone walls, flagstone slate floors and 12 foot high ceilings. This quaint 2 bedroom cottage offers privacy whilst being situated in the heart of the historic and food savvy township of Willunga. Features include a cosy lounge with open fire place, two bedrooms with antique brass queen sized beds, bathroom with seperate bath and shower, a secluded rear patio with BBQ and seating for four , within walking distance of the Willunga farmers markets, cafes, galleries,curio shops Russell's Pizza and award winning Fino. 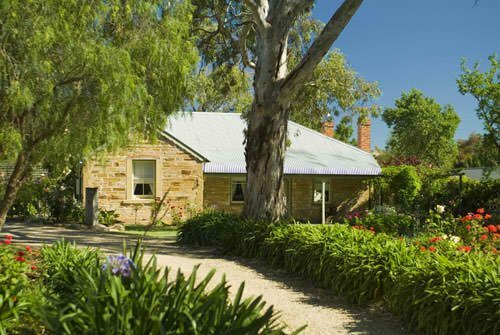 Evelyn Homestead - 1 night Evelyn Homestead's captivating charm and plush interiors blend early South Australian history in this 160 year old homestead. 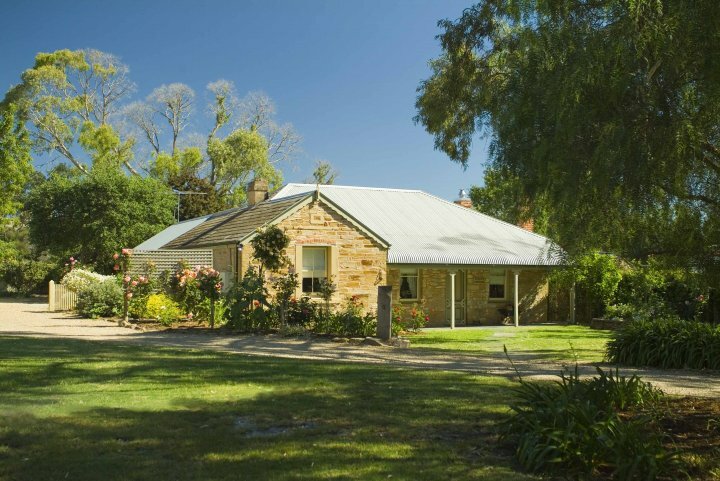 Set on 1800m2 of colourful gardens with magnificent towering gums. 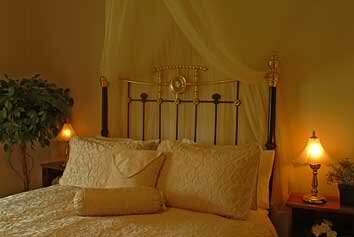 Featues include.. two beautifully decorated bedrooms with antique brass beds and chandeliers ,a cosy parlour with open fire place a spacious lounge with comfy cream sofas, a large plasma T.V. alarge dining table to seat 8, a seperate larder off the kitchen with large fridge, laundry and seperate 2nd toilet large under cover alfresco dining area with a BBQ. 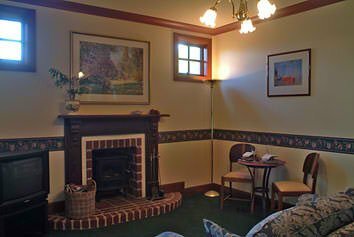 Evelyn Homestead - 2 night Evelyn Homestead's captivating charm and plush interiors blend early South Australian history in this 160 year old homestead. 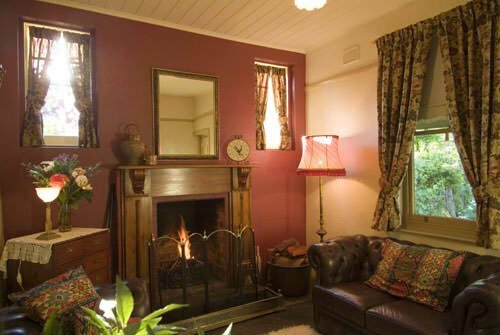 Set on 1800m2 of colourful gardens with magnificent towering gums. 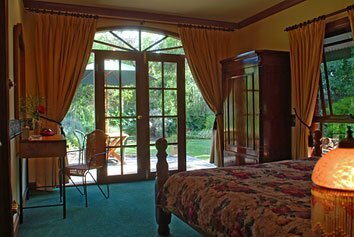 Featues include.. two beautifully decorated bedrooms with antique brass beds and chandeliers ,a cosy parlour with open fire place a spacious lounge with comfy cream sofas, a large plasma T.V. alarge dining table to seat 8, a seperate larder off the kitchen with large fridge, laundry and seperate 2nd toilet large under cover alfresco dining area with a BBQ. 45 minutes from Adelaide airport. Close to business facilities. There is no onsite reception so please phone the day before arrival on 0419838961 to confirm your time of arrival to get key details. Early check in/late check out may be requested prior to arrival @ $10 per hour, subject to availability. Children Policy Our aim is to providy a peaceful retreat for couples only. 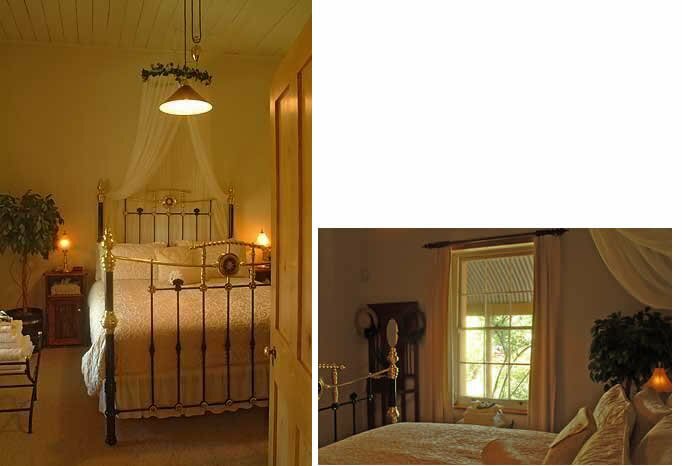 Port Willunga Cottages is not a family holiday destination. 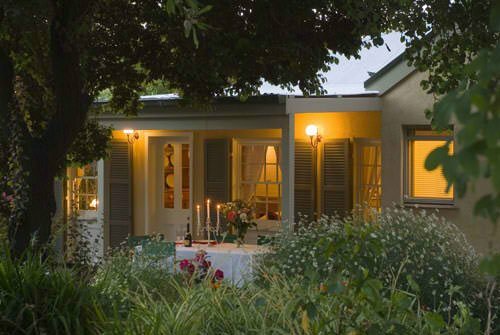 By special request only, children may be accommodated in Citrus Cottage, however children from 2 - 12 will be charged at @ full adult rate. Smoking is not permitted indoors at any time. 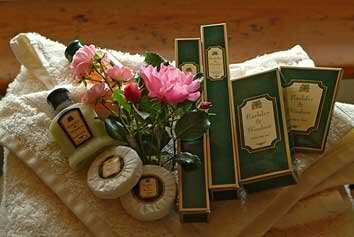 Guests must leave the cottage in a tidy and respectable condition. If extra cleaning is necessary a minimum $50 charge will apply. Any breakages or damage to goods or property must be paid for by the guests on departure. Wood Fire Use For safety reasons wood fires are not in use during the fire ban season 1 Nov to 30 April. Off street, undercover parking at Anchor Cottage and Evelyn Homestead. Off street, parking for Citrus Cottage. 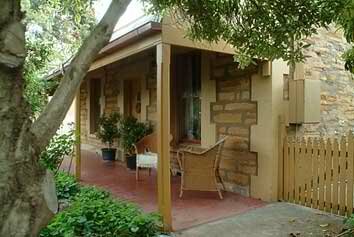 All the cottages are a leisurly 45 minute drive from the Adelaide Airport and CBD. From Adelaide to Anchor Cottage head down south along South Road and turn off to the right onto Port Road, follow Port Road to the Esplanade, Anchor Terrace is 2 streets left of The Star of Greece. From Adelaide to Evelyn Homestead or Citrus Cottage head south on South Road then turn off to to the left to Victor Harbor Road. 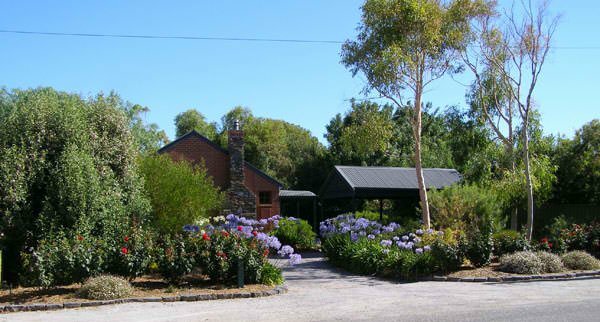 Turn off the Victor Harbor Road to Willunga onto Aldinga Road for Evelyn Homestead which is on the right hand side, opposite the parklands and rose gardens the driveway is adjacent to number 98 bus stop, the cottage is set quite far back from the road. 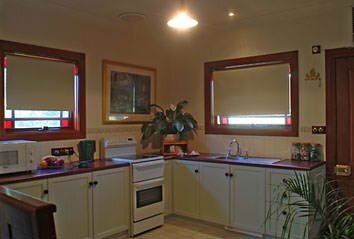 For Citrus Cottage you keep going on Aldinga Road then turn to your right and head up the main street in Willunga which is High Street. Citrus Cottage is on on your left hand side. You are in the midst of over 70 boutique wineries and cellar doors, surrounded by fabulous award winning restaurants, numerous trendy cafes, galleries, antique and curio shops, pubs, Farmers markets, stunning white sandy beaches and the beauty of the Fleurieu Peninsula.